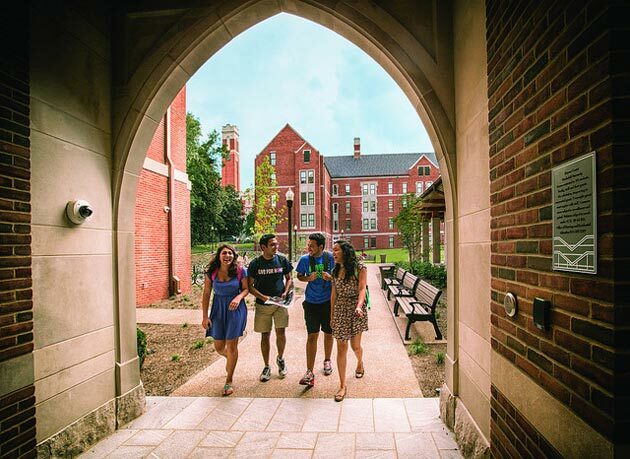 Vanderbilt faculty who are interested in serving in either residential or programmatic roles within the university’s Residential College system are invited to an open house on Friday, April 20. The event will be from 4 to 5:30 p.m. at the dean’s residence on The Martha Rivers Ingram Commons, located at 1235 18th Ave. S.
At this information session hosted by Vice Provost for Learning and Residential Affairs Cynthia Cyrus, representatives from the offices of the Dean of The Ingram Commons and the Dean of Students as well as current residential faculty will share their experiences serving as residential faculty or working alongside them in a programmatic capacity. Light refreshments will be provided. One of the four central themes of the Academic Strategic Plan is the undergraduate residential experience and, more specifically, a commitment to offering students a rich and diverse intellectual community that educates the whole person and cultivates lifelong learning. Consisting of The Martha Rivers Ingram Commons, Warren and Moore colleges, E. Bronson Ingram College and living-learning communities including The McGill Project, McTyeire International House and the The Mayfield Experience, Residential Colleges are a critical element in extending the student learning experience beyond the classroom. Residential faculty roles include the faculty heads of house on The Ingram Commons, the faculty director roles in the upperclass Residential Colleges, and faculty-in-residence roles such as those at McGill. In addition, new opportunities are anticipated for non-residential faculty seeking programmatic affiliations with one of the Residential Colleges. For residential faculty, terms of the contract are typically two calendar years, from July 1 to June 30, and include housing and meal plans. An indication of your academic dean’s approval for your service in this role (e.g., an attached letter or email). A list of interested faculty will be maintained on an ongoing basis. Faculty will be contacted and interviewed through an expedited process as new opportunities emerge, thus there is no set deadline for applications. Letters of interest will remain active and on file for five years.